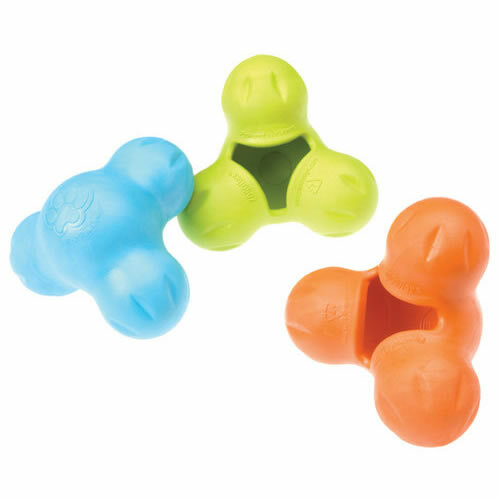 A great boredom buster treat toy. The West Paw Design Tux dog toy is a stuffable treat toy that is guaranteed durable. 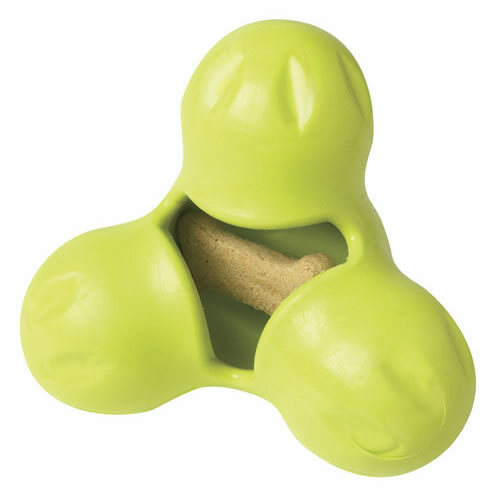 No matter what their taste, simply stuff your dog's favourite treat into the cavity of Tux and let 'er rip. 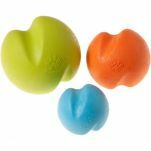 Like West Paw Design's other Zogoflex® dog toys, Tux is pliable, bounces, nontoxic, recyclable, and buoyant. Tux is even dishwasher safe for easy cleaning! My Staffy is a massive chewer and I needed something tough. Read 6 customer reviews of West Paw Design Tux. The average customer rating is 4.5. Great toy if you freeze food in it otherwise it all falls out too easily. Good also for rubbing nut butter in. The 3 feet need to be more hollow so you can stuff more food into it. Our dog, Frankie, is a rottie cross and one heck of a power chewer. We've spent a fortune on supposedly super-tough toys for her and she destroys them literally within minutes. The West Paw Design Tux arrived a couple of weeks ago and Frankie loves it. She chews it for hours and it still doesn't have a single tooth mark on it! Its multiple bumps mean that she can throw it around for herself and be constantly entertained by the unpredictable bounce. You can put food in it, although we haven't had to, as she seems to find it super appealing regardless. We, and more importantly, Frankie, are very happy with her Tux. Great product! Our dog loves running around the garden chasing it never sure which direction it will bounce next. The treat compartment is a good size as well not so small that she has no hope of ever retrieving the treat which makes a nice change.